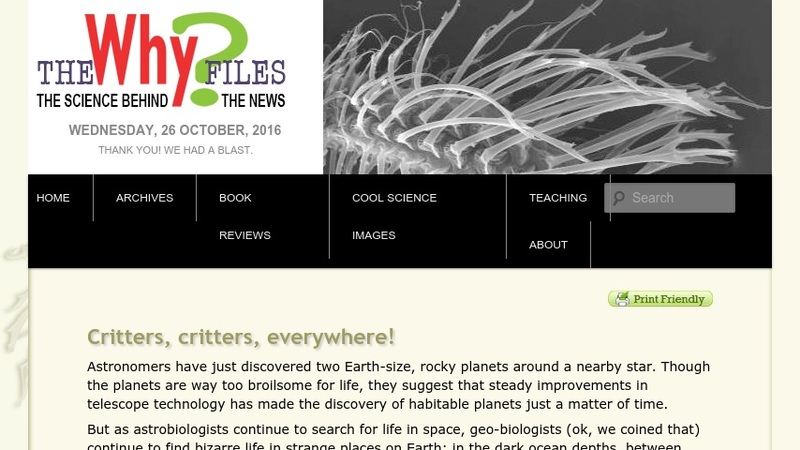 This Why Files informative page is part of a series that features the narrative of Bob, the bobtail squid. Bob describes the symbiotic relationship formed between his ancestors and the bioluminescent bacteria that offer him protection from predators. The next page in this series describes the relationship from the enslaved bacteria's perspective and features scientist Margaret McFall-Ngai. Links are provided to glossary terms and a bibliography.